FMO's commitment to sustainability and responsible investment is confirmed by the high rating it received from rating agency Sustainalytics and German rating agency oekom research. FMO ranked number 1 out of a peer group of 238 financial institutions on sustainability in a surevy done in 2014 by external rating agency Sustainalytics. FMO was awarded an overall sustainability score of 85, a mark significantly higher than the average sector score just below 60, and giving FMO the 'Industry Leader' classification. 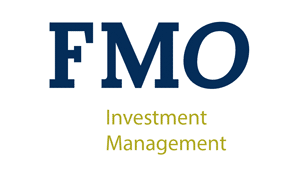 On all three themes, Environmental, Social and Governance, FMO was industry leader in the group Diversified Financials. Sustainalytics concluded that FMO has strong ESG policies and procedures that are implemented effectively. This rating further demonstrates FMO’s commitment to sustainability and responsible investment. German rating agency oekom research has classified FMO as “Prime” , highest among financial institutions. This means that, according to oekom, FMO is among the leaders within its industry with regard to sustainability. As FMO Investment Management provides access to FMO's investments, these ratings are an important indicator for the sustainability quality of the fund propositions we offer. As FMO Investment Management sources only investments sourced by FMO, the FMO Sustainability Policy (latest version published January 4, 2017) is applicable on all investments it advises upon. The FMO Sustainability Policy guides FMO's contribution to sustainable development as framed by the Sustainable Development Goals (the SDGs). The policy is in line with FMO’s vision of a world in 2050 where over 9 billion people can live well and within the limits of our planet. The FMO Sustainability Policy is the leading document in the FMO Sustainable Policy Universe. The policy guides all of FMO’s actions. FMO operates in specific market-circumstances that require an adaptive and realistic approach to supporting the transition to a sustainable global economy. Therefore, the policy should be read in conjunction with the "Implementing the Sustainability Policy" document that frames specific dilemma’s for FMO in implementing the Sustainability Policy. Click here to read the latest version of the FMO Sustainability Policy. To find out more about our how we measure impact indicators, click here.